From exploring tourism trends to sharing seaside stories and media training for midwives – there were a wide range of free events to get involved in during the fourth day of the Festival of Learning. School groups came onto Talbot Campus to take part in several different Festival activities – including Bollywood dancing and discussions around mental health and wellbeing. Danielle Downham, Lead Teacher for Health and Social Care at the Grange School in Christchurch, was at BU with pupils about to go into their Year 10 health and social care course. She said: “We’ve actually been involved as a school in a lot of the Festival of Learning activities – we know that there’s a very high quality of events. Other events explored new technologies to assist people with disabilities, a SMART tourism workshop co-hosted by Bournemouth Tourism, and a workshop for those looking to improve their managerial coaching skills. This event, hosted by experienced coach and BU academic Melissa Carr, explored what coaching is and how people might use it. Attendees ranged from students to retired professionals, and local agency staff – with delegates from as far afield as Venezuela. Down at the Sovereign Centre in Boscombe, the Oh I do like to be beside the seaside: Wellbeing at the beach event asked people to sum up their beach experience on a postcard, to see how being close to the coast can make people feel better. 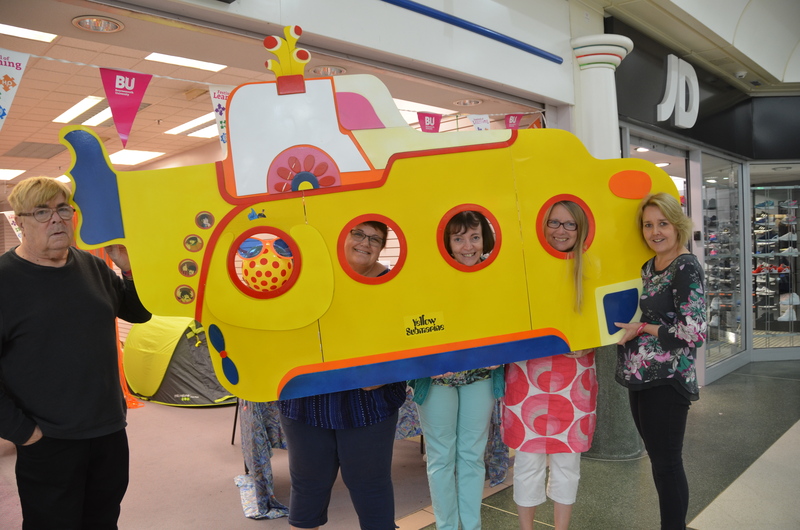 The team even had a yellow submarine for fun photo opportunities. Meanwhile, midwives and midwifery PhD students got insights into how to engage with journalists in a tailored Midwifery media workshop training session. Midwifery PhD researcher Dominique Mylod, who is based on the Isle of Wight as their first Doctorate midwife, said she found the training useful. “I came along because actually this particular issue has bothered me for quite a while,” she said. “So it was a wonderful opportunity to enter a really informed forum to discuss the issue. The Festival of Learning runs until Friday 17 July, with over 150 free events and activities taking place throughout the week.